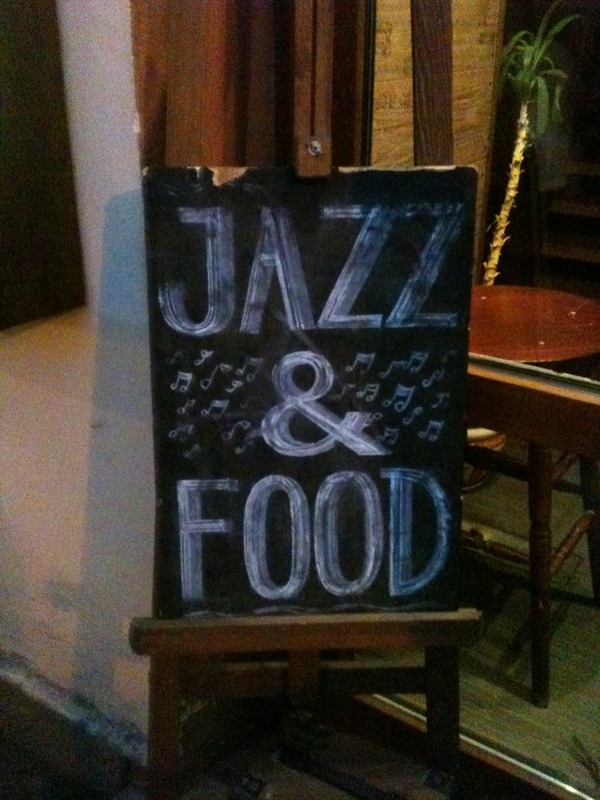 On Sunday evening I had the pleasure of attending two new jazz clubs: Kvadrat Jazz Steamboat and Griboedov 7. 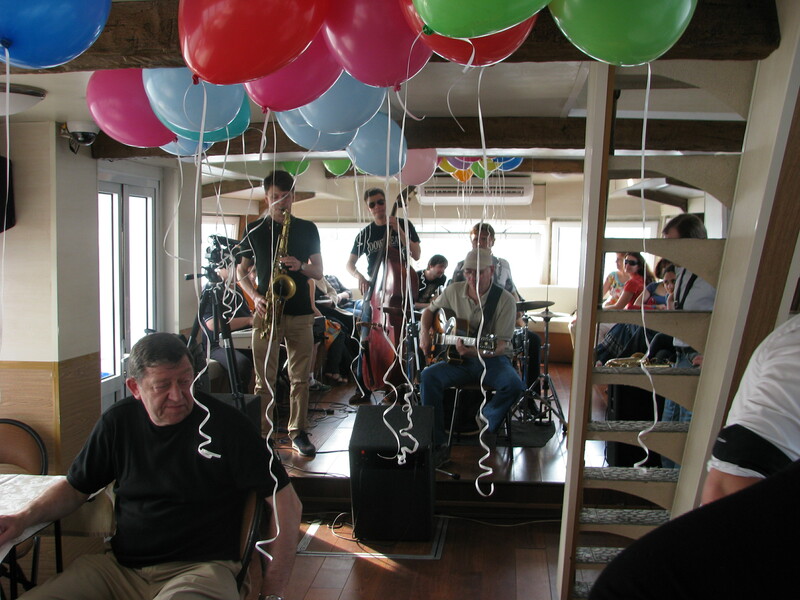 This was the kickoff of the Kvadrat Jazz Steamboat season and the boat cruised up and down the Neva River with a Dixieland Band on the top level and a jam session on the lower level. There were balloons, and champagne, and a great sense of celebration. Six of my fellow fellows joined me on the boat and a good time was had by all. 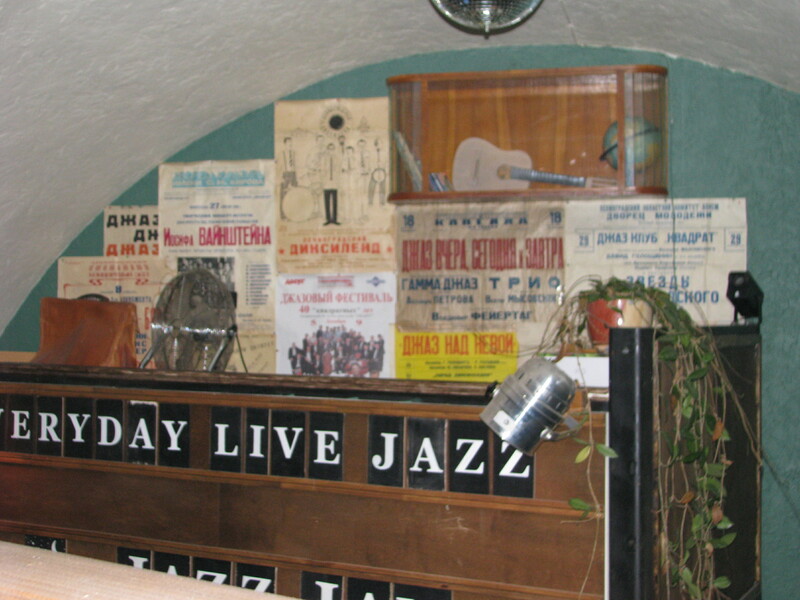 After the Jazz Steamboat, Makbal and I journeyed to Griboedov 7, a “new to us” jazz club where Kirill Bubyakin was playing Saxaphone with the Grand Swing Quartet. 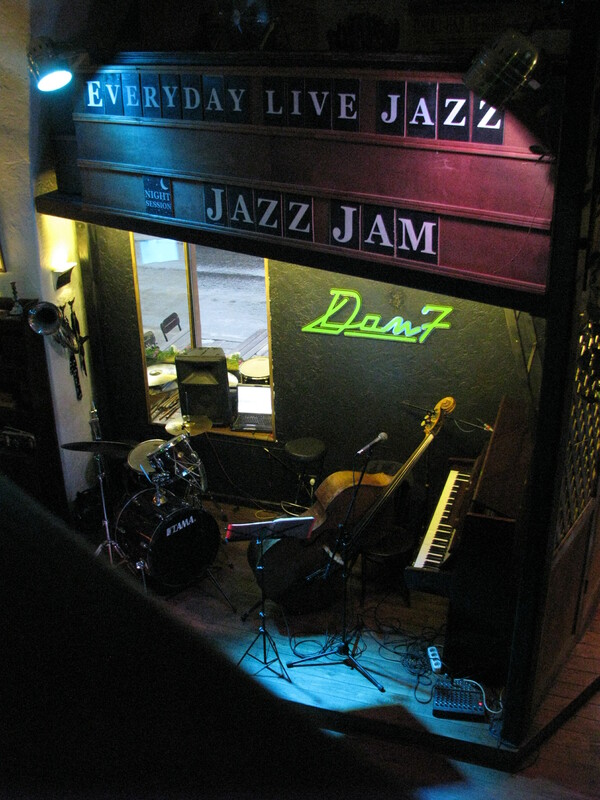 Griboedov 7 is another venue that features live jazz each night. 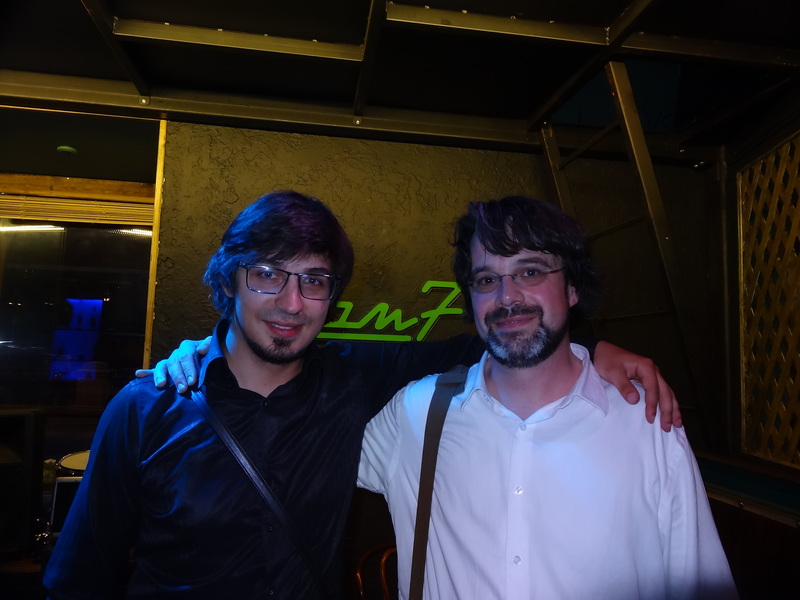 After two sets of playing some original compositions and contemporary jazz, as well as some standards,Kirill sat down and spoke to me about his work as a saxophonist and as co-director of the Jazz Philharmonic Big Band with Sergei. Kirill is yet another student of Gennady Golstein…proving once again the significance of Gennady in the SpB jazz scene.